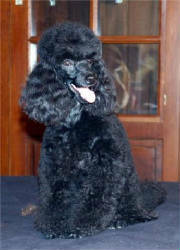 Breeding red and apricot miniature, black and white dwarf poodles. 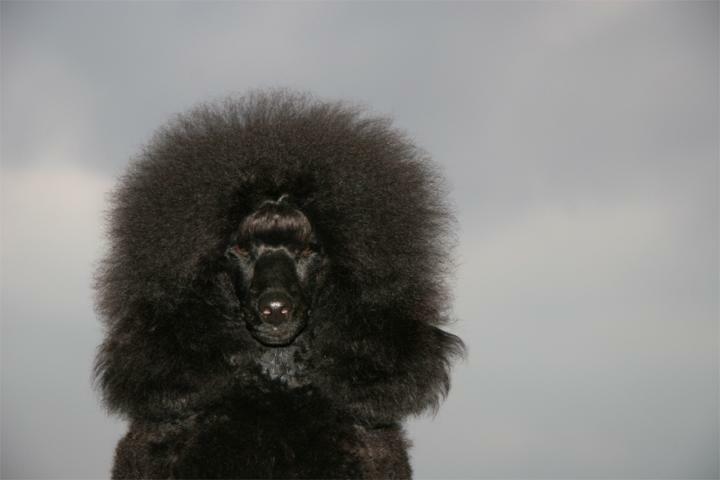 "I want to join the petition for red color in poodles." 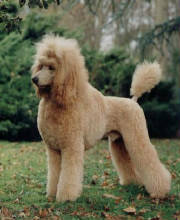 for the breeding program in the future." 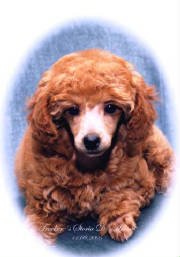 "I am signing the petition in favor of red color poodle. 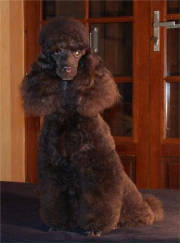 I hope very much that FCI will listen to the opinion of leading breeders and most famous kennels all over the world. I would also wish that the next step would be the recognition of the blue color, and all the even colors." 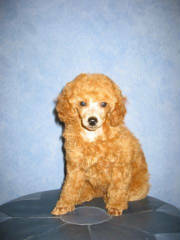 I am a small breeder in Greece for apricot and red dwarf and toys poodles and I want to join the petition for red color. 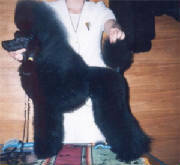 In foto my little girl Popi " Gr.Ch. Cookiespirit Nobody like her" . 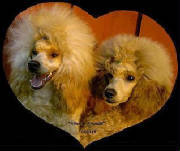 "We are interested to sign the poodles red petition. 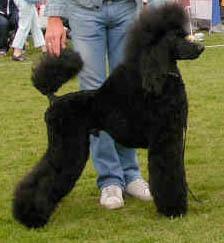 We breed black and browns but we definitely think red is a wonderful colour and according to newest genetic knowledges red is a basic colour." "The FCI standard urgently needs to be inspected for international suitability. 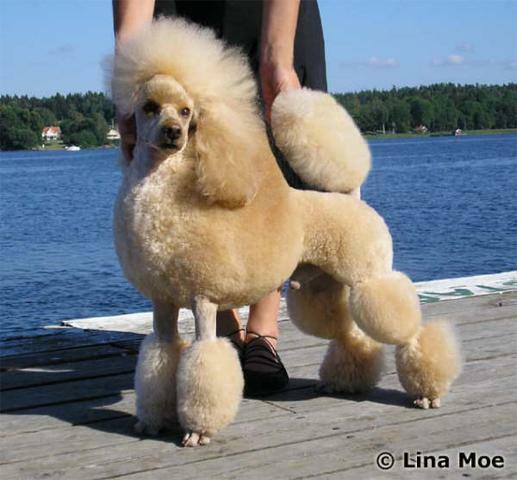 In order to keep the gene pool healthy, breeders and exhibitors travel around the world and exchange their dogs - and rightly so! 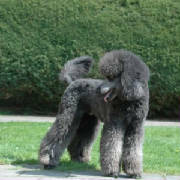 Natural-proves there come other colors in the FCI poodle population. 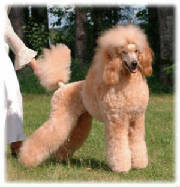 It´s time in FCI area to recognize the colors of our american, british, canadian and australian poodle friends. Best regards - cross fingers for your petition! " "Please add my name to the petition, and keep our fingers crossed that all clean colors will be accepted again." "I am for this suggestion about accepting the red colour. 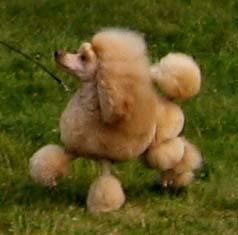 I hope that the whole World could have the same breed standard and this is a step in that direction. 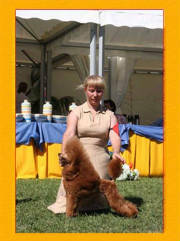 I hope in the future that the FCI standard will include ALL solid colours." 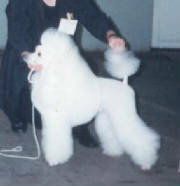 Former breeder of schnauzers and dwarfs in Canada (1969 -1981), now owner of black and white standard poodles in Sweden. 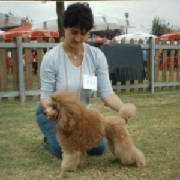 "I want to join the petition because it is the time that red poodle is recognised by the FCI. 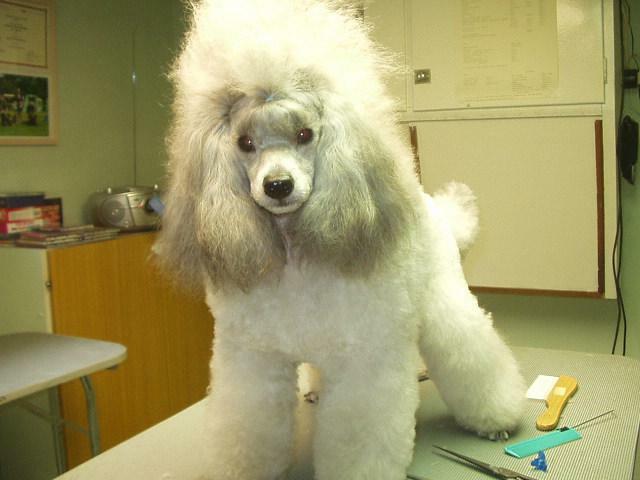 This petition should include creams and blues as well as red." "Hope the blue and red color will be accepted again"
"I want to join the petition." 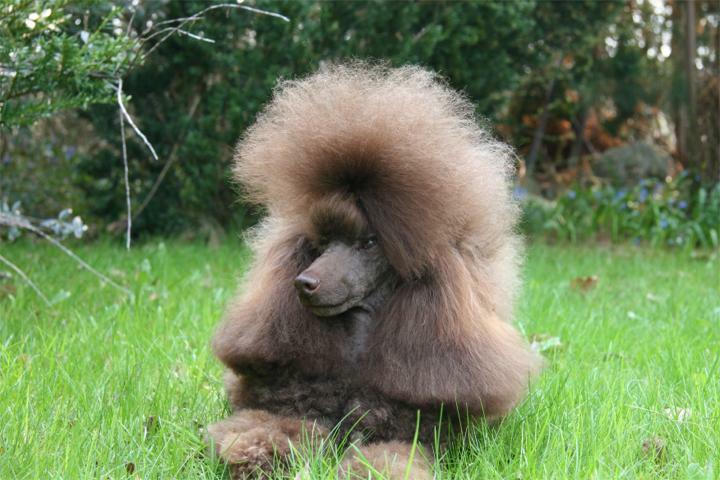 "I trully agree with the written in the petition." 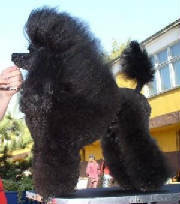 "HOLA SOY MIKI, PERDONA POR MI INGLES, ES UN POCO MALO, SOLO QUERIA DECIRTE QUE ESPERO QUE SE ACEPTE EL RED- APRICOT COMO COLOR DENTRO DE LOS APRICOTS, CREO QUE TIENE MEJOR TEXTURA DE PELO , PARA MI ES LA BASE DEL APRICOT.